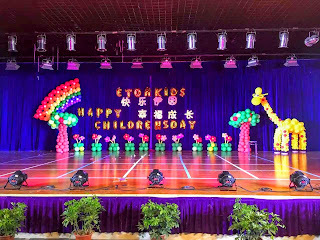 I was introduced to Etonkids during the final throws of August 2015, I vividly remember walking into the grand apartment complex that led me to Guanggu's very own Etonkids Huizhu Kindergarten. Little did I know that after a series of events I would find myself settled into a whole new teaching environment, my first academic year recently finished! I gave it my all! On the other side of a less than fortunate situation I was patiently waiting to see what would be behind a rather imposing set of gates. I had originally wanted to be a Kindergarten teacher but fate had taken me the long way around, nevertheless I was excited to see how things would pan out! 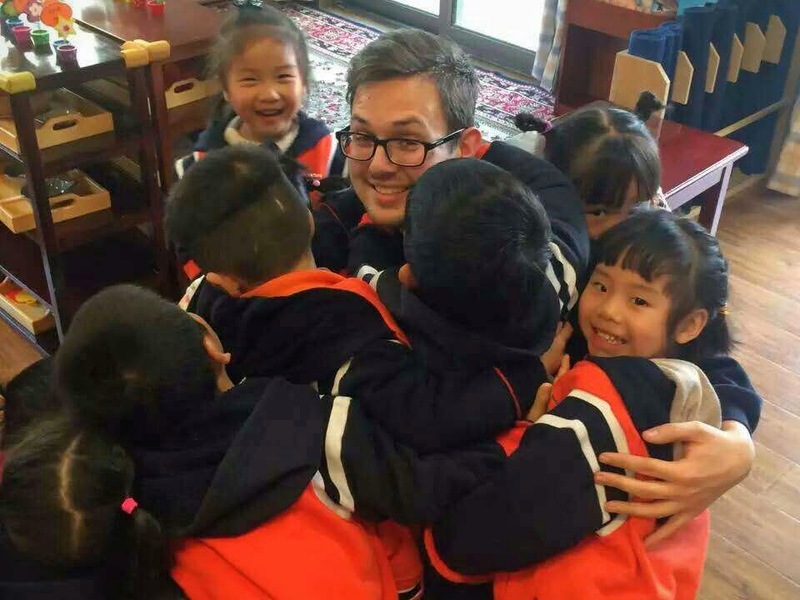 My demo class was a hit because the principal and academic lead at the time welcomed me into their Wuhan Etonkids family! I was overjoyed, keeping it all together I got on with what I needed to before my first day as an English Specialist would begin. Reporting bright and early on Monday 1st September 2015 I was bewildered and I couldn't believe I had been given a chance! Waiting at the front gates I greeted all the children with a warm and inviting smile, I gave out high-fives like they were going out of fashion! In that moment I had no idea what was ahead of me! After all the shadiness I was ready for the to games begin! For what it's worth it's not worth my time to go into the finer details of my contract because that didn't define me as an Etonkids English Specialist. Working under slightly different means I was immensely blessed to have been given the opportunity to remain in China and fulfill my dream of being a Kindergarten teacher in Wuhan. The first month of teaching felt like nothing I had ever experienced before, I gave multiple children their first English name and benefited from a free school dinner! Montessori hadn't come into the equation yet, I knew that things would be different in the second semester. As time passed I became familiar with the curriculum and even the six classes per day didn't feel so tiring! September merged into October, I benefited from more national holidays compared to my previous teaching role! Returning back from my National Day holiday, I was ready to get back to business at Etonkids, Wuhan. Etonkids truly felt like my home, I had arrived! The winter break was fast approaching but it was time to celebrate my 25th birthday first as an English Specialist. The children wished me a 'Happy Birthday' in English! I had grown so close to them, teaching six classes five days per week allowed me to spend time with all the children everyday. I couldn't walk down the stairs or around the campus without being hounded by the children, their beaming faces and pure happiness to see me was worth every bit of crazy I had experienced during my first three months in China! I won't lie because with every job there are hardships, try working in an environment where you're the only foreigner and native English speaker for that matter, through the confusion and madness I look back and see everything as a character building experience. I dressed up as Father Christmas on Christmas Eve to give each of the children and teachers their Xmas apples, oh it was madness! My weekends were my own, working from Monday to Friday gave me structure and that was something I didn't have before! I had one of my most nerve-racking classes in December 2015, one of the managers from the Etonkids English Department observed my class. I chose Casa Two for that formal observation and I can safely say it was a day to remember! January bought some bitter temperatures in Wuhan but my English lessons were energetic and full packed with games centred around Chinese Spring Festival. It was nice teaching about Christmas but the child knew exactly what was going on with the different zodiacs, I tried to be inventive with a broom to allow them to clean up the class room as in preparation for that special holiday. From the beginning of my time at Etonkids I felt that the campus was so quiet at dinnertime, it was nap time! I learned fast with six classes per day that having a nap was the way! The winter break saw me travel down to HK, Macau & GZ! The second semester provided a few surprises and served multiple campus changes, some of which were easier to process than others were. I became more involved with the English Department, I confronted the task of putting an English Corner together, being the only English Specialist at my school meant I was designated one class per month to create two language materials and a themed art display. I took a lot of inspiration from the English Specialist WeChat group in the beginning as it was something I had never done before that Spring/Summer term. March and April proved to be two months that challenged me beyond what I had previously expected it to be, I worked so hard to meet each and every deadline because making a good impression counts for me! Classes were still great, it was mad to see the nursery children grow and become more confident! Yes, I had learned a lot but I was only just at the beginning! I had lot to deal with during the second semester compared to the first but I did my best to take everything in my stride and channel all of my energy into a positive manner. May was a blessed month, the book was 'Giraffes Can't Dance' it was a chance for me to encourage the children to express themselves, I was on a mission to have my students learning to take chances and enjoy being silly! 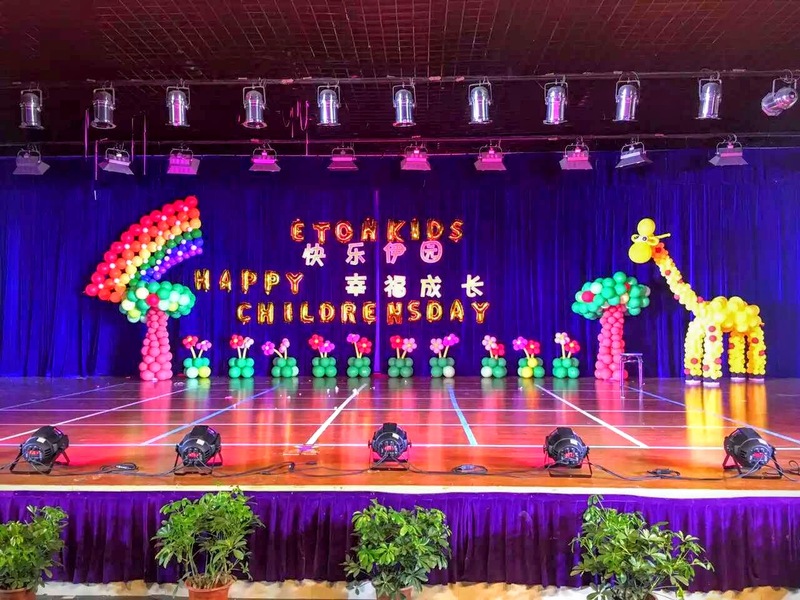 June 2016 brought the Etonkids Children's Day Show, it was a spectacle for sure with several dazzling performances and it featured a Chinese speaking British presenter. Yes, I was a host alongside my Chinese English teaching colleague Miki and four of the oldest students, who were from the Bridging class. I impressed the parents with my Chinese speaking ability, everyone who took part in the show was amazing and put so much effort into each act! It was my first Children's Day in China and I loved the whole experience even though it was bizarre! Yes, I was ready for the summer already! 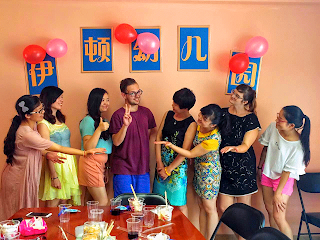 From the successes of June to July, the final semester of my first year as an English Specialist in Wuhan was a month to remember for many reasons. I was ready for a smooth month, free from interruption and change. The heavens opened and it didn't just rain it poured down with monsoon type rain and thunderstorms that closed the school for two days in just one week, that was decided by the education bureau in Wuhan. I attempted to make my way to work through the treacherous conditions because in my book it's detrimental to be on-time for work everyday! Missing my step and with my hands full with my laptop I hit my arm on the curb, giving me a large bloody cut but I wasn't deterred from trying to get to work. Thankfully, school closed for that day so I could take it easy and get some antiseptic for my arm. Thinking back to July 2015 the weather was like a dream compared to this year! That rain kept on! Stop! The children had a great final day before the beginning of their summer holiday, we held a water fun day that certainly did the trick to cool them down in the sweltering Wuhan sun! I stood with my sea creatures, I had made a board for the children to learn some new sea creatures like; dolphin, crab, fish, lobster and octopus! Referring to the photo above I was ushered to the office before our summer break to see the meeting room dressed for a party, a cake and carved fruit were waiting, but it wasn't anybody's birthday!? With the principal, region principal and the English manager present I was shocked to find out that I had won the 'Etonkids English Specialist of the Month' for July 2016! All I do is what is required and yes I do my best to go above and beyond for the children because that's my job! The children deserve the best of me, I feel blessed to have won the award! My team know me very well because along with my award and certificate I got a bottle of wine! It's now summertime!